To be notified if the Power Interface Module is updated, please fill out the form below. Your information will not be shared or sold. You will only receive status notifications for the Power Interface Module. 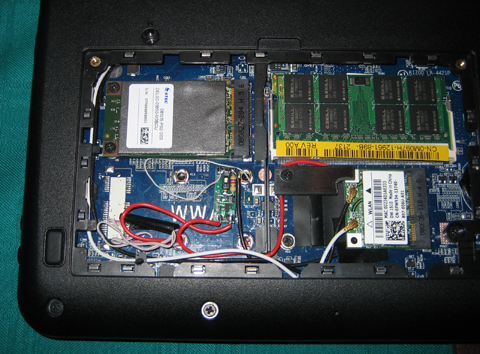 After Tom integrated the first GPS module into Dell's Mini 9 netbook, the next step was adding the ability to turn the GPS on and off without having to open the case. The Mini already has the ability to turn the Bluetooth module on and off, but it runs at a lower voltage than a standard USB port and cannot be used for supply, but it would provide a good way to control a device's power through software. The Power Interface Module was developed to solve this problem, and provides a 5 volt source for an integrated device, and turns this source on and off in sync with the Bluetooth module. The module can be used to power a GPS device, hub, or any other USB device you manage to install into the case. It also includes an override switch to manually disable the attached device if required. March 8, 2009 — The PIM Boards are back in stock. When in development, the PIM was originally designed to isolate the source and output signals, hence the name Power Isolator Module. As development progressed, we realized this isolation was not necessary, and indeed were able to save power by avoiding it. To better reflect the actual operation of the device, we have renamed it the Power Interface Module. The updated PIM boards are now Reduction of Hazardous Substance (RoHS) compliant and available for shipment to Europe. The PIM is now also available in a Low Profile, automatic-only configuration for use in really tight spaces. February 24, 2009 — The PIM Boards are currently out of stock. We are expecting to have them back in stock around the second week of March. 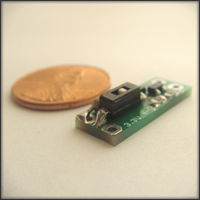 This shipment of PIM contains our most up to date technology, and is slightly smaller, slightly more power efficient, and is now manufactured completely lead-free and RoHS compliant! We will now be able to offer the PIM to our European customers, check back soon for more information. You can also sign up to be notified when they are in stock by using the form to the right. 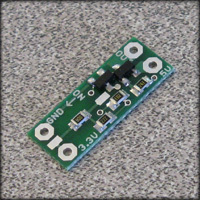 December 6, 2008 — The TeamMRB Power Isolator Module Boards are now in stock and ready for purchase! That's a penny in the picture below for size comparison. November 5, 2008 — The boards are currently in production and we're expecting to have them in stock in about three weeks. Power Isolator Module prototype installed for testing on Mini 9 laptop in WWAN area. Production model will be much smaller and able to fit in several places above and below the motherboard. Installing the PIM requires solder, a soldering iron, and the knowledge of their use. Since we don't know what you're going to be using it for, we can only provide you with the information as to how our device works, and you will need to find the best location to install and way to wire it in. If you are capable of installing an integrated device on your Mini 9, this should be no problem. If you do run into any problems or have questions, we stand behind our product and are here to help. 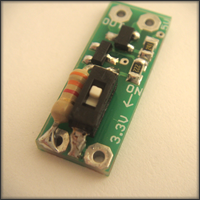 3.3v Switched Source — This is connected to a software controled 3.3v power source. On the Dell Mini 9, this is the the 3.3v power source for the Bluetooth adapter. 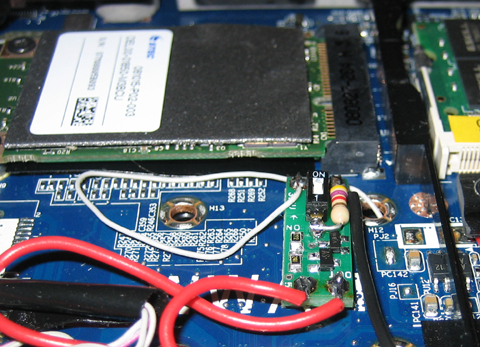 It can be soldered directly to the motherboard, or to the Bluetooth adapter (recommended). Ground — Connected to any ground point. Low current, signal level connection. 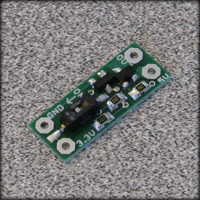 5v Source — Connected to a 5v source. Device Power — The USB device's 5v connection is attached here. The PIM basically sits between the 5v source on the system and the 5v power connection on the USB device. At Team MRB, we stand behind our products and therefore include a 1 year warranty on the Power Interface Module. If for any reason a defect in parts or manufacturing causes a problem during this period we will replace your PIM, free of charge. This warranty does not cover failure caused by incorrect installation, exceeding current or voltage limits, or any other reasons. TeamMRB is not liable for any costs or damages beyond the replacement of the PIM itself. copyright ©2008 TeamMRB, Inc. www.teammrb.com All rights, images, your base, are belong to us.